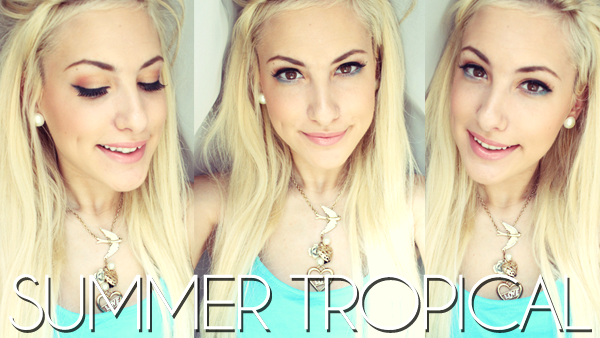 Summer is my favorite season of the year and If you all remember I had done a FOTD look called "Tropical Punch". This YouTube video was inspired by that Blog Post and so I recreated the look for many others to try out. You look so pretty! Amazing makeup look. In all honesty, I wish I could teach you italian but I don't even speak it! You are absolutely gorgeous, and I have literally sat all afternoon scrolling through your videos/archives! I love how well thought out your tutorials are, as they are all wearable and easy to follow - but create really unique looks that I wouldn't have previously thought to experiment with!